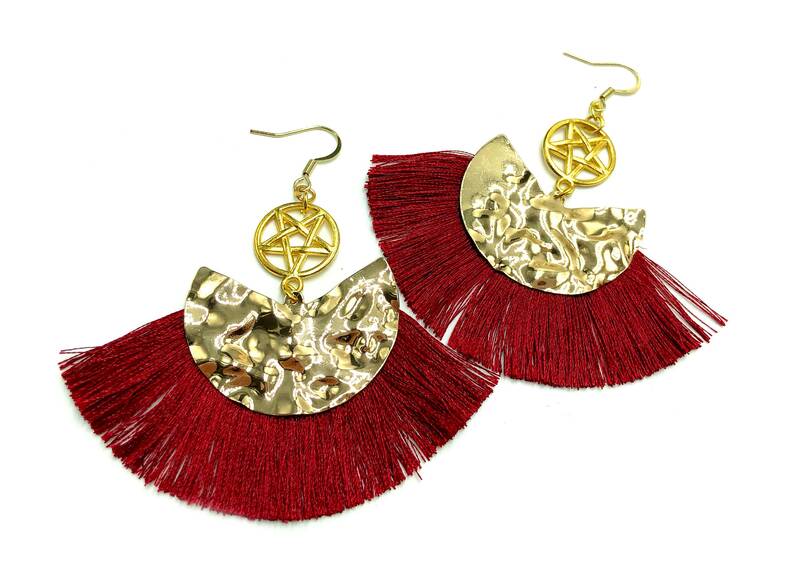 Charmed earrings are very much a statement piece. Lead and nickel free. Stainless steel ear wire. Brass pentacle.